A luxury playing experience deserves luxury peripherals! It didn’t take us long to figure this one out. 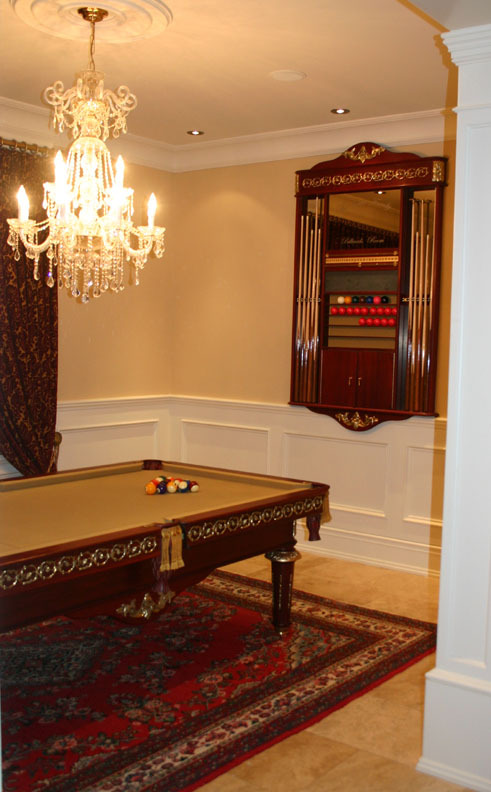 Luxury billiards tables can only do so much when there’s no clear solution to custom-crafted cue and equipment storage. It needn’t be flashy or even all that elaborate either. Some of our clients prefer modest/discrete minimalism in how their racks are built. 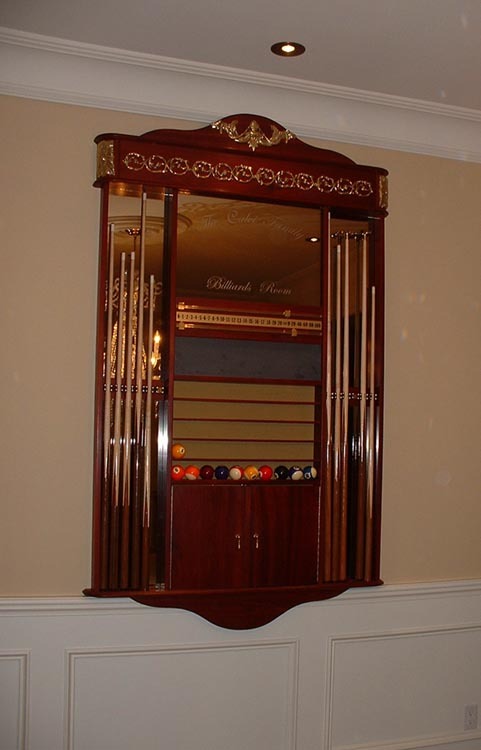 We’re admittedly biased as a long-time producer of fine furnishings and games room equipment. 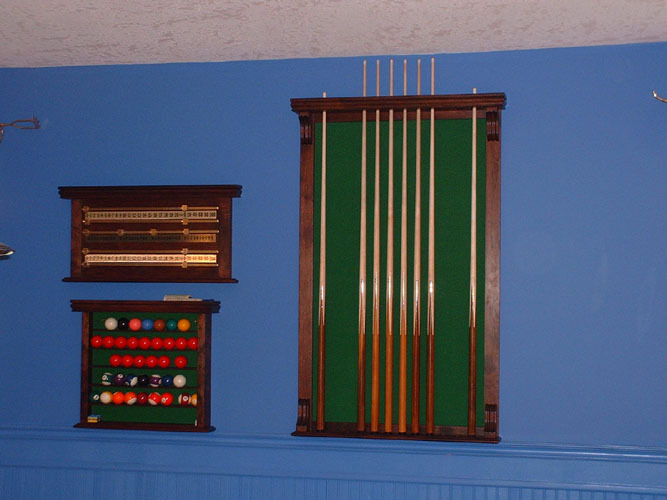 To us, it’s clear that a cue rack is a must have for any enthusiast or lover of the game. Whether snooker, pool, or something else entirely is your game of choice, some things stay the same. The storage system for example deserves similar styling and design to the table itself. One needn’t reinvent the wheel or anything either! 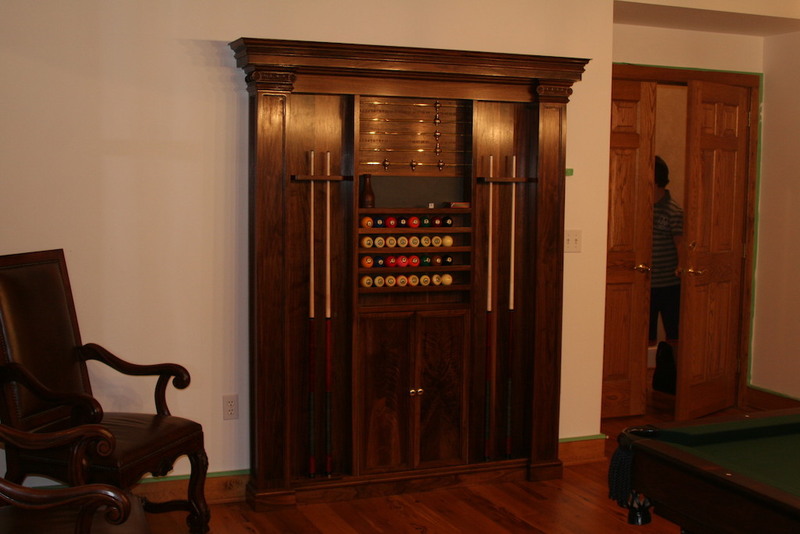 A cue rack ought to be tailored to your space and budget. You probably wouldn’t put budget tires on a luxury car. You also wouldn’t likely ever wear flip-flops with a designer suit. 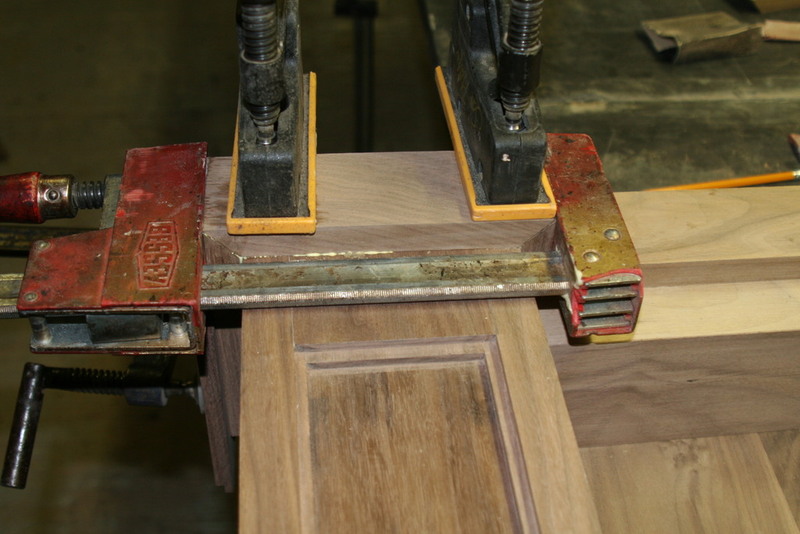 As such, a custom high-end table deserves a premium look and feel from any accessory designs for racks and scoring systems. Whether you’ve got a precise dream in mind or no idea where to start, trust our insatiable appetite for excellence. Coupled with masterful craftsmanship to help guide you find your perfect solution, we’re ready to get started. Tailor-made cue racks are only the beginning. 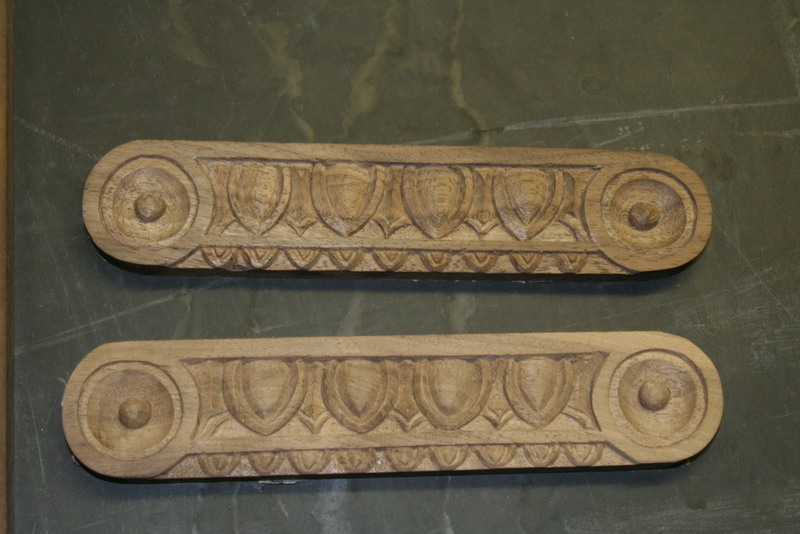 We specialize in one-of-a-kind art pieces and antique reproductions. 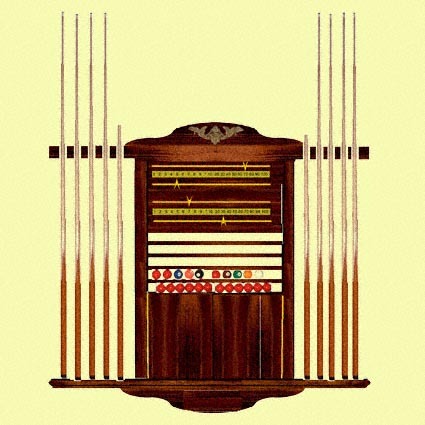 No matter what your preference, we encourage you to think outside the cabinet with us on your dream rack. 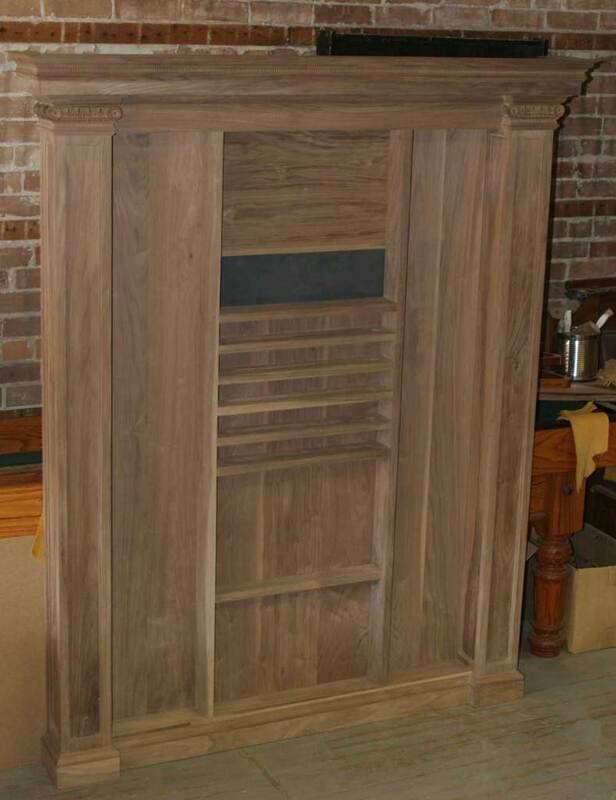 Though we don’t like to boast, proud of the custom racks and cabinets we have produced. 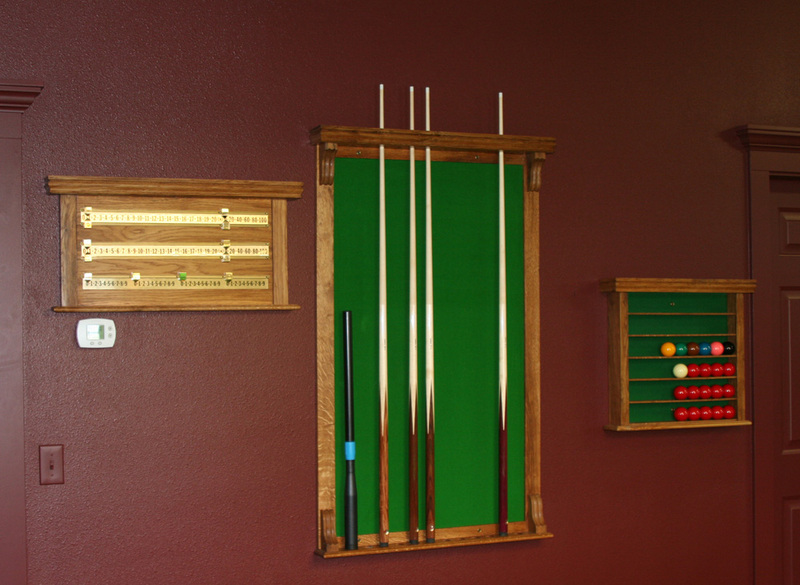 We’ve built a diverse assortment of racks and score boards over the years for a diverse range of clients. Your unique needs may well be things we’ve yet to come across or imagine, but that’s never stopped us before from innovation and excellence. 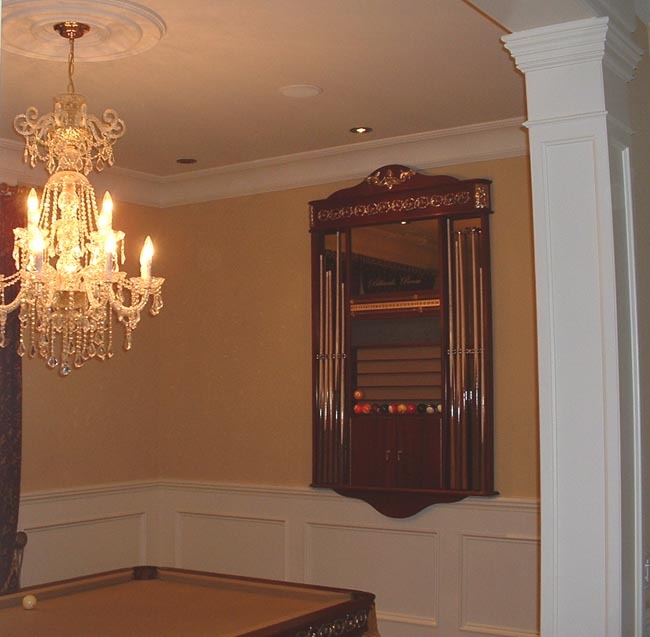 It is said that you can tell a lot about a billiards or pool enthusiast by their play style and posture. In our eyes, you can tell even more about them from their choice of tables and equipment/accessories. Make a real statement with your equipment and decor. Whether you want to or not, you’ll make a clear statement with how you decorate and store your equipment. 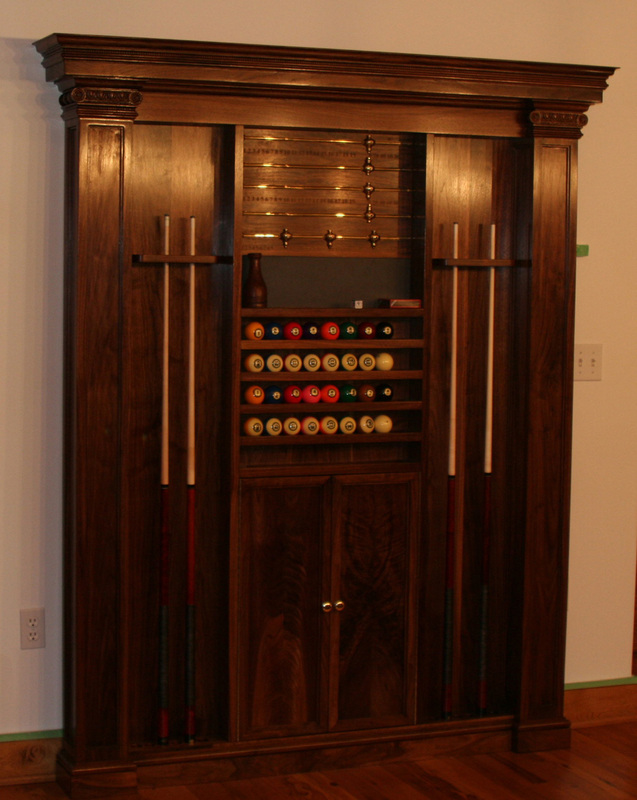 After all, a custom cue rack can do more than display your playing equipment. 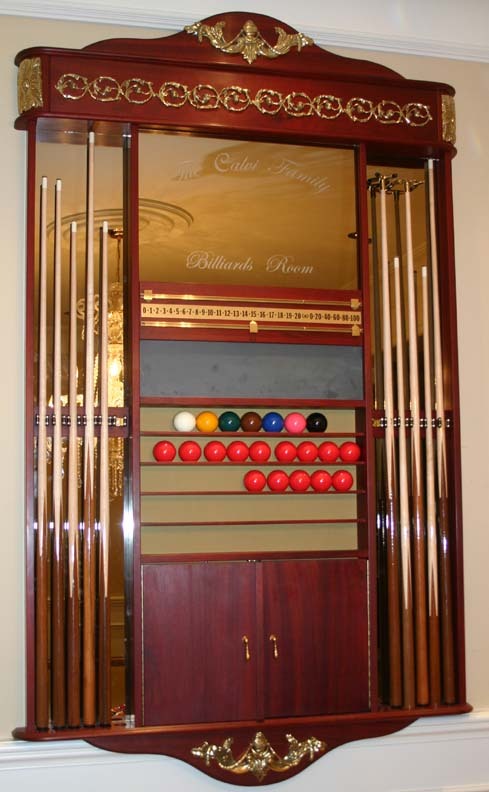 Purpose and personality are both front and center with how your rack supports your love for cue sports. When built with strength and style in mind, it can protect your equipment and make an artistic statement as well. Nobody likes to worry about scratched or damaged equipment, right? 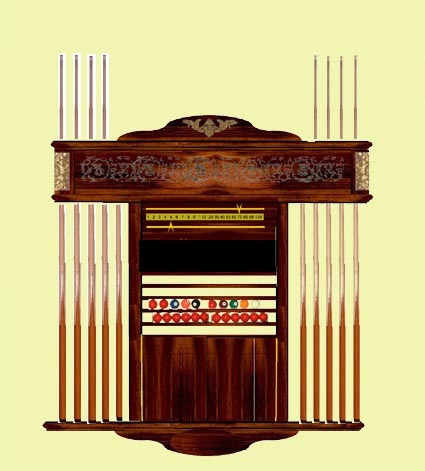 This is particularly important for vintage cues that are precious. No matter your preference of build material, style, or size, we’re eager to show you what we’ve built before and what we’d love to build in the future. Feel free to browse our galleries and work on social media if you’re in need of inspiration. Whatever you’re envisioning is well within our interest and capacity to brainstorm, so get in touch when you’re ready to get started!